Our 40-foot living container comes with a full bath, and two spaces that can be used for bunks, relaxation, and/or dining. Employees are safe and comfortable behind the industrial grade personnel door and corten steel walls. 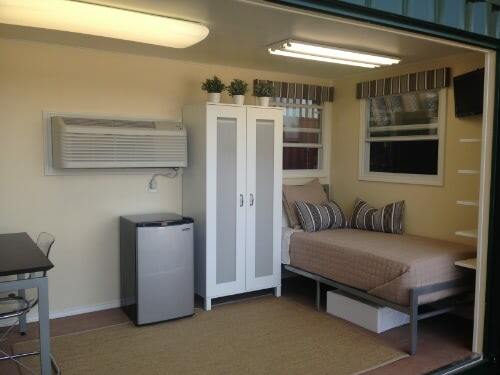 Safe, secure living conditions in durable, climate controlled space. 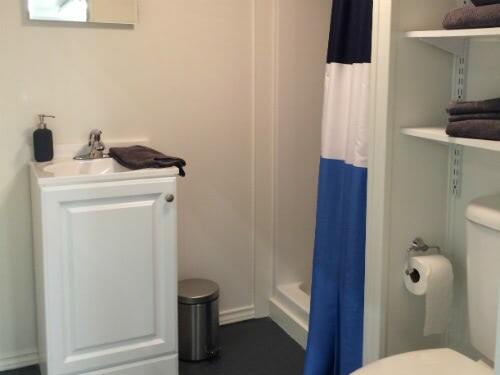 Convenient full bath with easily connected plumbing portal. Easy personnel entrance through a secure steel swing door. Configurable for additional functionality with optional kitchenette. 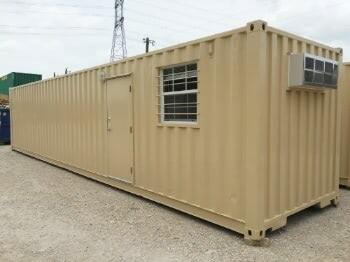 Heavy duty construction for long, useful life in any environment for workforce housing. Quick set up and relocation with easy electrical and plumbing connections with no need for steps, ramps, tie downs, skirting or foundation. 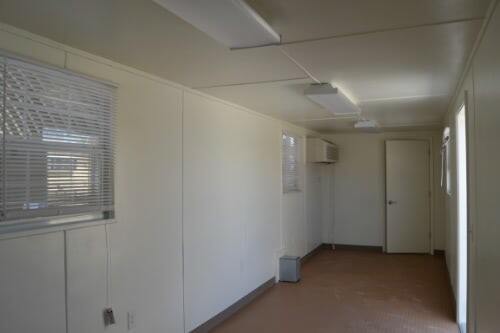 Includes shower, sink, toilet, HVAC unit, batt insulation (rated R-13 walls, R-19 ceiling), 1/4" plywood walls, electrical breaker panel, overhead lights, GFI outlets, data port and 3'w x 6'8"h steel personnel door with lever and deadbolt.